Summertime is vacation time! Lily is in the mood for travelling and you can travel with her in this new title of the Lily makeover series! Style her for a sunny day at the beach, an exotic dinner under the stars, or an exciting trip into the wilderness. Choose between hairstyles, tops, bottoms, dresses, shoes and cute accessories to create the perfect summer outfit for Lily. Pack your bags and let's go! Welcome to our famobilicious HTML 5 cross-device game catalog. Here you can find more than 300 non-exclusive and exclusive licensed HTML5 games, reviewed, categorized and hand-picked for every taste. Feel free to browse through our games created by developers from all around the world. 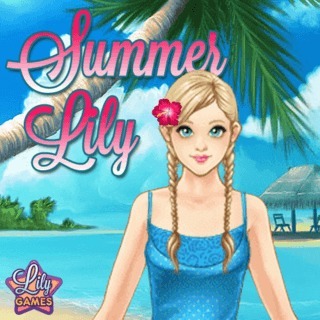 If you like Summer Lily games, you should check out the other games from our famobilicious game catalog. Do you need help? Why don't you check out our Help & Support category and see if your questions and problems can be solved.